"Amazing Grace" Zabriskie was born in New Orleans, Louisiana. She wrote her own original poetry, then performed at coffee shops and various artist hangouts in Atlanta. She was also a wonderful silk-screen printmaker. She moved to Hollywood and made her acting debut in Norma Rae (1979). She went on to appear in over 80 movies. She gave an acclaimed performance as Mrs. Ames in "East of Eden" (1981) (mini), the adaptation of John Steinbeck's novel. Grace appeared in the highly acclaimed and Oscar-nominated An Officer and a Gentleman (1982) and The Big Easy (1987), set in her beloved New Orleans. She worked with producer and director David Lynch, and was a series regular in the cult favorite "Twin Peaks" (1990) as Sarah Palmer, the part with which she is most often identified. She also appeared in Lynch's Wild at Heart (1990) the same year. 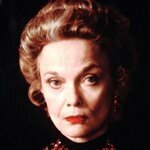 She has played a wide variety of roles, and gave a terrific performance in the Oscar-nominated Fried Green Tomatoes (1991) and showed great character depth as the lonely and despondent widow in The Passion of Darkly Noon (1995). 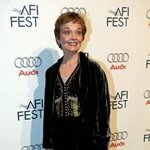 Grace's more recent roles were in the zany Sparkler (1997) and in the big-name feature The House on Turk Street (2002), based on a short story by Dashiell Hammett. A woman of many talents, she is currently creating her own original paintings, unique sculptures and woodwork art that can be viewed in Los Angeles galleries. Her visual arts, which include creating lamps or "sculptures with light" as she calls them, are available from the L.A.-based ArtHaus.